Boomers understand the need for wellness better than most generations. We’re looking to maximize our lifespan and retain optimum fitness levels well into our golden years. We are looking for wellness destinations—places to find our Zen. Here are three distinct destinations that will aid you in your quest for relaxation, rejuvenation and wellness. Whether you prefer an urban sanctuary, desert oasis, or proximity to the mystical Andean wonder of Machu Picchu, these retreats will bring you the Zen you seek. For nearly four centuries, the Augustine Sisters have dedicated their lives to caring for the body and soul at Monastère des Augustinesm. The sisters opened a hospital at this location in 1645 and it is still open today. 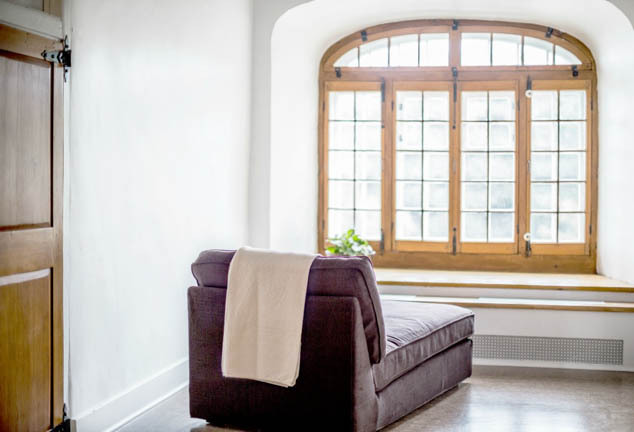 The former cloistered monastery has been renovated and is open to the public—serving as an urban sanctuary in the midst of bustling Quebec City. In the early 1990s the community of Augustine Sisters was declining and the sisters began to reflect on what to do. Their priority was to ensure the longevity of both the tangible and intangible heritage of the Order of Augustine Sisters. The project took more than 25 years to complete but today the tangible heritage is preserved in an onsite museum housing more than 40,000 artifacts and archives from the monastery. The intangible heritage of the Augustine Sisters lives on in the form of a wellness resort—taking care of bodies and souls. Numerous activities in programs of holistic health are available including yoga, meditation and private nutrition counseling. The onsite restaurant offers breakfast, lunch and dinner. The menu is chosen daily based on the available produce, fish and meats—all sourced locally. Wellness is always on the menu through a delicious array of entrees, salads and infused teas. And, in keeping with the meditative spirit that permeates the resort, breakfast is served and eaten in silence. Guests can choose lodging in the former cells of the Augustine Sisters which have been renovated to include modern conveniences. If you prefer more space, contemporary rooms are also available and more suitable for couples. The Monastère des Augustinesm is a place to connect with your inner self and disconnect from the world. And since your Zen isn’t going to send you a text, go ahead and leave that smart phone at reception—if you can handle it. The mission of Ghost Ranch is to provide “a community for the spirit: for rest, re-creation and renewal.” Located on 21,000 acres set amidst the red rocks of New Mexico that once inspired painter Georgia O’Keeffe, the Ghost Ranch holds true to that mission. This is a place with a storied history. Formerly soggy wetlands where dinosaurs roamed, the land evolved into an arid high desert. Native Americans once roamed the valley followed by Spaniards, cattle rustlers and environmentalists. Notable guests include Charles Lindbergh, Ansel Adams and John Wayne. And, of course Georgia O’Keeffe who was infinitely inspired by the local landscape. Today, Ghost Ranch is there for you to find your Zen. Active pursuits include high desert hiking through red rocks and hills to lush green areas of forest and past dinosaur quarries. Abiquiú Lake provides opportunity for kayaking and canoeing. And horseback riding along the O’Keefe Landscape Trails bring you face to face with the landscapes that have captured the hearts of artists for centuries. For relaxation, Ghost Ranch provides a myriad of bodywork and yoga sessions. Massage therapists combine Swedish massage with elements of other treatments including Polarity Therapy, reflexology, acupressure and Reiki. Ghost Ranch offers much in the realm of spirituality including a rock labyrinth. Representing wholeness and unity, labyrinths are considered a path to the center of the soul. Used as a tool to aid in meditation—each individual’s experience is unique and based on personal cultural and religious traditions. If your path to Zen includes the arts, retreats are offered for artists, writers and photographers throughout the year. At Inkaterra’s Machu Picchu Pueblo Hotel the setting alone is enough to melt away all your troubles. Situated on 12 acres in a Peruvian cloud forest, the hotel is tucked into terraced hills where stone pathways wind past cascading waterfalls and between whitewashed adobe casitas. The entire property exudes the ambiance of an intimate Andean village. If you’re staying on this Inkaterra plantation, there’s a good chance you will be visiting the historic sanctuary of the Incan Empire, Machu Picchu. That alone is worthy of meditative moments. Continue your meditative bliss with a focus on wellness at the hotel’s Una Spa. Una combines classic nurturing spa treatments with a mystical Andean approach. The Inkaterra plantation is home to 372 species of orchids—the largest native collection registered anywhere in the world. The orchids, along with other botanical extracts like mint, eucalyptus and tea leaves from the plantation are incorporated into the spa menu to provide a soothing, sensual and spiritual experience. Other uniquely Peruvian twists include the use of sacred coca leaves and quinoa in body and facial treatments. The Vilcanota River flows beside the Inkaterra Pueblo Hotel. Rocks from the river are used to heat the uniquely Andean sauna where the powerful aroma of eucalyptus encourages you to breathe deeply. Follow the sauna with a dip in the spring water plunge pool and you might just find that Zen you’ve been seeking. Do you have a favorite wellness destination?